We believe everyone’s summer calendar should have a day reserved for a surprise escape to the beach. Here are some suggestions for great options in Hamilton Halton Brant. Fifty Point Conservation Area – this a great option for a day of splashing along Lake Ontario’s shoreline. Bring your tackle box and fish for salmon in Lake Ontario or catch rainbow trout and largemouth bass in the conservation area’s stocked pond. A fishing license is not required at the pond. Pinehurst Lake Conservation Area – Pinehurst Lake is a nine-hectare kettle lake that was formed by a single piece of ice. The lake has a sandy beach and is surrounded by mature Carolinian forest. 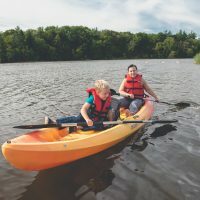 Christie Lake Conservation Area – Make sandcastles along Christie Lake’s 360-metre sandy beach or rent tubes at the Beach House and float the day away. 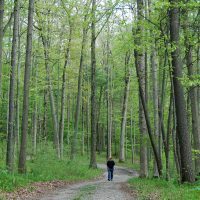 Valens Lake Conservation Area – Enjoy the sandy beach and natural swimming area and then climb the observation tower for a stunning view of the surrounding forests and lake. Beachway Park – Lake Ontario is the star along this unique ribbon of spectacular shoreline at the foot of Burlington’s vibrant downtown. Cycle or rollerblade along the paved trails or rent a stand-up paddleboard for a fun new way to spend the day at the beach.